This serious piece of hardware provides a strong, stable on-wall mount for the Electro-Voice EVID S10.1D dual 10" subwoofer. Overview: The EV UB10-UW is a bracket designed to suspend or wall-mount an Electro-Voice Evid S10.1D dual 10" subwoofer enclosure. 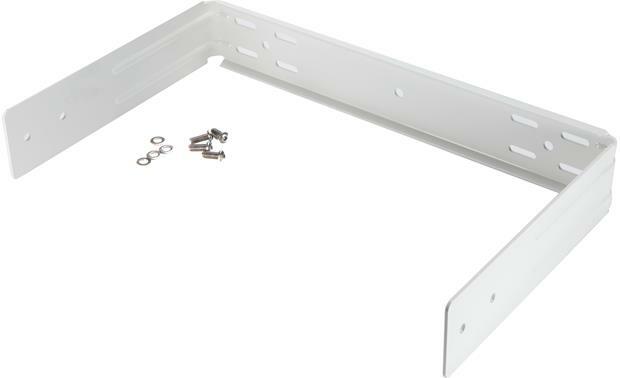 The bracket attaches to the side of the subwoofer using the provided M10 x 25 mm hex-socket bolts and can be mounted horizontally on a wall or suspended from a ceiling firing downward. Searches related to the Electro-Voice UB 10 U-bracket for wall-mount subwoofer.